US suspends $800m of military aid to Pakistan. Will China help pakistan to meet this Gap? US says it is withholding some $800m of military aid to Pakistan. And, it seems it may even cancel it permanently. Washington has poured billions of dollars into Pakistan since 9/11 to help its military tackle al-Qaeda and Taliban groups along the border with Afghanistan. White House Chief of Staff Bill Daley told ABC's This Week programme that Pakistan had "taken some steps that have given us reason to pause on some of the aid". William Daley says the U.S. relationship with Pakistan is "difficult" and must be made "to work over time." But Daley tells ABC's "This Week" that until "we get through that difficulty, we'll hold back some of the money that the American taxpayers are committed to give" the U.S. ally. The New York Times earlier quoted senior US officials as saying the suspension of military aid amounted to about one-third of the yearly US security assistance to Pakistan. US secretary of state Hillary Clinton had warned last month that the United States could slow down US military aid to Pakistan unless it took unspecified steps to help the United States. Stung by the U.S. decision, Pakistan's influential military ordered more than 120 American trainers deployed in the country to leave. And, Obama Team's this decision made Pakistan to look for support from other sources. It seems Pakistan is willing to have close relationship with China now. 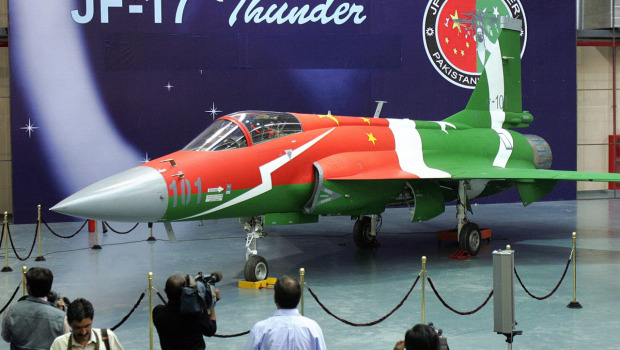 During the past decade, Pakistan began jointly producing the JF-17 Thunder fighter plane with China. The Pakistan Air Force (PAF) plans to eventually introduce up to 250 of the JF-17 fighter planes. The Pakistani government also publicly announced its approval for the Pakistan Navy to begin negotiations with China for the purchase of up to six new submarines. Western diplomats think that Pakistan's move towards China won't give any benefit. According to them, worsening ties with the U.S. could push Pakistan towards isolation. The top US military officer Adm Mike Mullen last week suggested the Pakistani government had "sanctioned" the killing in May of journalist Saleem Shahzad. Pakistan Information Minister Dr Firdous Ashiq Awan said that Adm Mullen's statement was "extremely irresponsible and regrettable". 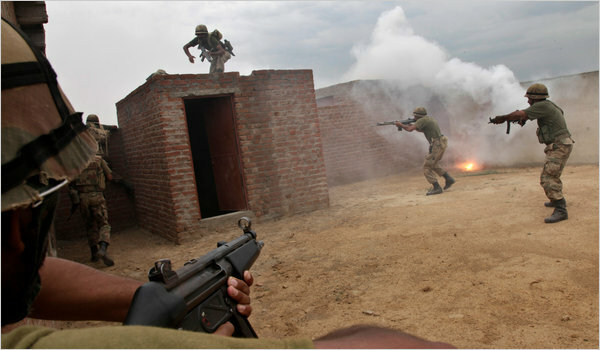 Tensions between the countries have surged since U.S. forces killed Osama bin Laden in Pakistan in May. Previously, Pakistan army had issued warning to US saying that if the U.S. launches a similar raid in the future then the army and intelligence services will review their ties with Washington. China Daily had reported that Pakistani called on the United States to share information about new al Qaeda leader Ayman al-Zawahri after US Defence Secretary Leon Panetta said he believed that Osama bin Laden's successor was in Pakistan.